If you’re a passionate car enthusiast, the chance to see some of the world’s most exclusive luxury vehicles is somewhat of a spiritual experience. For our long-time client Park Place Dealerships, working with brands like Rolls-Royce, McLaren, and Bugatti is a daily reality. Because these vehicles are in separate dealership locations across the metroplex, we had an idea – what if we brought these amazing cars together for one larger-than-life event as only Park Place can throw? The concept of the Luxury & Supercar Showcase was born. 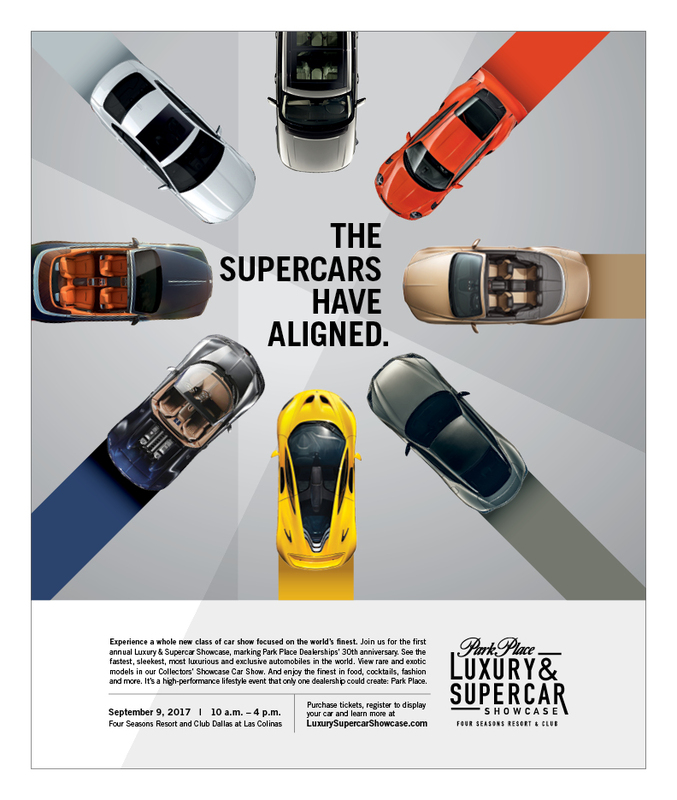 We worked closely with Park Place’s internal marketing team, as well as their PR partner, Aardvark Communications, to take the initial idea of the Luxury & Supercar Showcase and turn it into a truly spectacular event. Dallas fashion, cuisine, and supercars were introduced into the mix, showcasing the best of DFW and building additional brand awareness for Park Place. Among the work completed to launch the show were a logo and branding, print ads, billboards, radio spots, digital banners, social media posts, emails, and a Pandora Genome Station. The digital efforts generated over 3 million impressions during the short promotional period. To view creative samples, including a video teaser trailer, visit our “Work” page. Guests arrived at the Four Seasons Resort and Club Dallas at Las Colinas under a cloudless blue sky to view legendary luxury car models from around the world. They were the first to glimpse the new 2018 Rolls-Royce Phantom, get up close and personal with a $3 million Bugatti Chiron, and inspect the new Bentley Bentayga SUV. And for classic car fanatics, there was also plenty to admire – a juried Collector’s Showcase competition included a 1965 Shelby 427 Cobra (formerly owned by Carroll Shelby himself), a ’61 Rolls-Royce Silver Cloud, and a ’72 Fiat Dino Spider, to name a few. Delicious eats, live music, and stunning fashions from Northpark Center were on hand to complete the spectacle. The results of the event itself surpassed all expectations – $30,000 was donated to the Momentous Institute, which serves more than 6,000 children and their families each year in order to rebuild their social and emotional health. 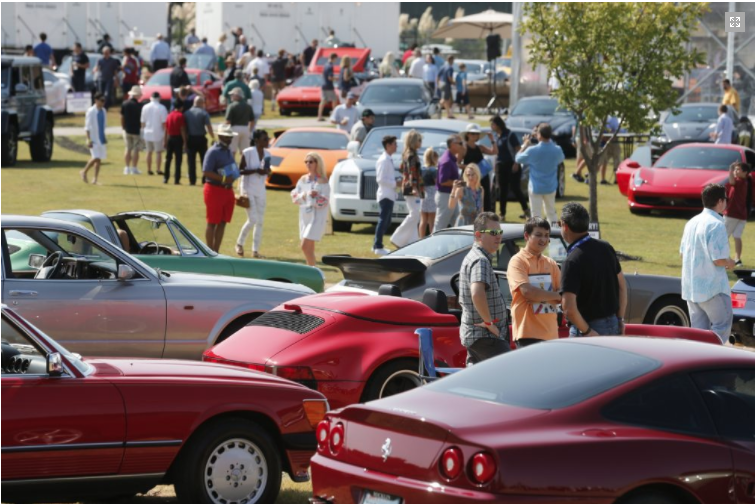 The event was sold out with 2,750 attendees, cementing Park Place as the go-to dealer for luxury autos.